GET IN-OUT: Yogyakarta/Solo - Yogyakarta/Solo. WHEN: Customized to your requested date of departure. Volcano lawu is one of Java's old volcanoes, has several peak nut highest one locally named Hargo Dumilah 3265 m ASL. Administratively, Lawu covers two provinces of Indonesia: East Java and Central Java.This volcano still has active crater as well as hotspring on altitude around 2600 m.
This 2 days/1night Lawu trekking trip offers chance to view sunrise and stunning view East Java volcanoes as well as of lake Sarangan. For more view, you'll be led up hill of view point where you can expect to catch more fantastic mountainous view of East Java surrounding. 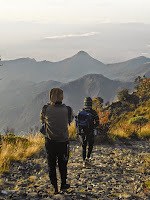 Physically, this Lawu trekking trip is moderate level, required you to be at least on average stamina level. The trip is good option for those visiting Yogyakarta or Solo and wish to experiences the old volcanic highland of Central Java and East Java regions. 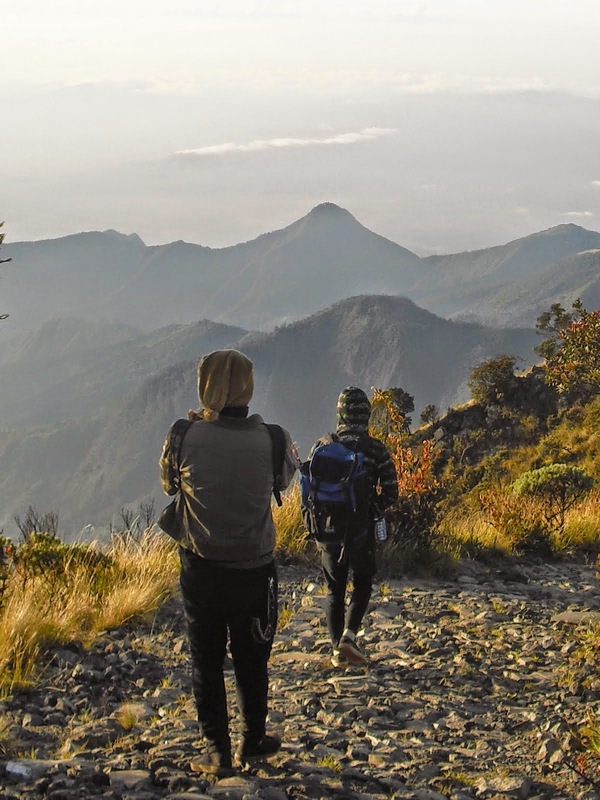 Trekking guests are strongly suggested to have at least 1 night extra day rest at Yogyakarta or Solo region before trekking trip commencement. DAY2: Wake you up in early morning for sunrise sight seeing, then proceed summit attempt for peak Hargo Dumilah (+-3265 m ASL). After summiting, then hiking down back heads for campsite, then proceed heads for Basecamp for transferring you back to Solo or Yogyakarta for your next destination. Actual drive approx 4 hour. Actual hike approx 4 hours ascent-descent terrain Lawu. (B,L).